Cute little game. The movements and camera are very smooth. I wish there was more. I found a small error where it says to press "A" but should really say "E"
The robot voice in the beginning was funny. I liked the twist in how to "win". Got to 462. Would have liked to have gotten to 2048 ;). Game was well made and the little explosion effect was nice. A little music would be nice if you had more time. This is probably my favorite game of the Jam. (What does that say about me?) Having to kill a baby for the good of humanity to win is a great take on the theme. I don't know what the last comment is talking about. Visuals looked great, had a great story, and both win-endings made me feel sad, haha. Great job! Best part was the marker. Fun clicker that really made my click more furiously than others. You did a good job balancing difficulty. I had a hard time but didn't think it was impossible to win or get frustrated. I would have preferred if the different items on each tab were all visible without having to scroll. I don't know if this was a purposeful design choice? This is some kerbal space program physics here. Nice job! Got 16 flies. I don't think I'm mature enough to keep playing though. Very polished game. I would have called the game Pee-cision. I loved the music. Was it an original song? Getting to the second (good) ending was enjoyable. Thanks! Submitted 4 minutes before the end, haha. Cutting it close? Creative idea. I personally have not played a game like this before. The title made me laugh thinking about the bird-box challenge. I think the grid background was a nice idea so I have some orientation on where I am. Made my way out of the first 3 levels. This is not really a game, no. More of a silly art piece. My hope is that the small animation, sound effects, and poem placed together are enjoyable for the 60 seconds it takes to play. And no, the clip is from the show Cosmos. I'm sorry you didn't like it. Nice take on a clicker game that runs in reverse. Would be nice if there were a timer to track how quickly I can win. Good job on the music! 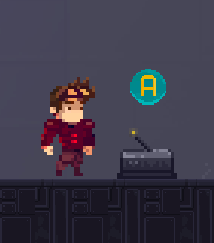 A nice little platformer. I got to actuality. Thanks for making it. I ran into a bug on the opening battle and couldn't continue. I played in HTML on Chrome. Cute little puzzle game. I liked how the guy gets fatter with each level. Music is also nice, wish it were longer. Thank you for playing and for the feedback. I think you're right about the matchstick size and made it bigger. Also added a slight skew to the stick when picked up. There is a reset button at the bottom right corner of each level. I have it called out on the first level. The idea is to make 3 square without loose ended matches sticking out (Those two matches at the top.) It's my fault for not making that clear in the description. I'll update the description so it's more clear. I've slowed down the stamina decay by 1/3rd to give the player more time to read/think. Thank you for the feedback. I'll be sure to check out GDWC. Thank you! I was a little worried about the sound being too loud. You've confirmed my fears. I've updated game with volume adjustment buttons. Thank you! It's a very simple game I managed to program very poorly. I think it's fun to have a spawn-kill level for some areas as it adds excitement. But too much of a good thing feels bad and so much of gaming is about how it feels. Hard to quantify. Maybe on the levels where the enemy follows you, have them paused until the player makes the first move? Blow up them cows! Very fun! Right off the bat this game is very polished and I love the graphics. Puzzles were cleaver. There were multiple levels where standing still would lead to a spawn kill and that got a little frustrating. That last key felt very satisfying however and the ending was fantastic! Version 2.0 is live. Please check it out! I've done a lot of polishing tonight and incorporating some of the comments. Check back tomorrow after voting and I'll upload a v2.0 thats much more balanced. I believe my current version is far too difficult. I liked the warp mechanic. I would have liked for the bullets to keep firing when I hold down. Nice little puzzle game. I liked the layout and the music. I opened all the chests and then nothing happened? The use of all the colored tiles was nice, I think better than any other game. I liked the dialog from all the green dudes. I wanted them to have more hints if I were going the wrong way. I felt a little like I had to memorize the layout to win and got discouraged. Also wanted to say how creative the bosses were! I agree with some of the other comments that the enemies were a little too hard. There is very little room before they reach you and often jump right away making them near impossible to hit. I think if they were slower it would be better. The controls: key pad + controls mess with my Mac. If I hit ctr+up at the same time it opens up all my tabs. Shake screen done well, I felt like my attacks did damage. 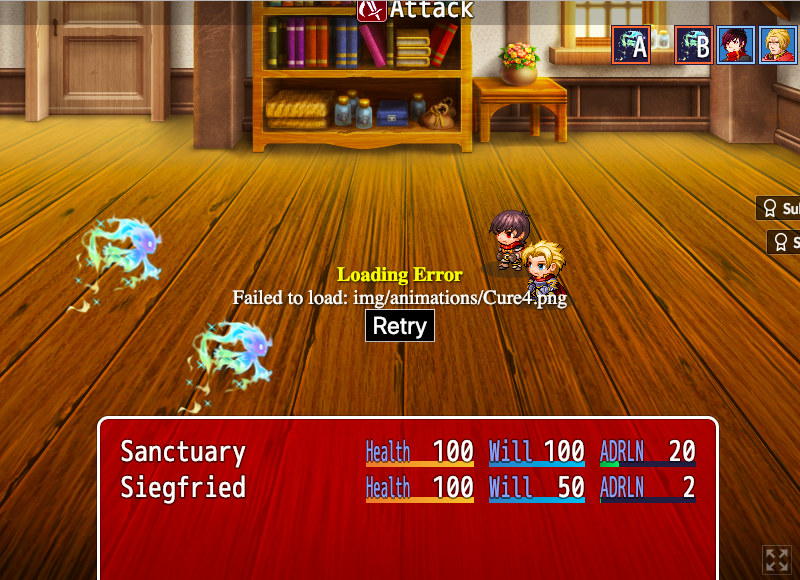 The effects were nice, making use of the limited sprites. I also really likes the music and sound effects. Great Job! I like that idea, thank you. I will implement it after voting. Wow, thank you some much! All I ever want is just to make something fun to play. Got though all 20. Very enjoyable, thank you. Ahh, very clever. Okay I got through level 10. Okay, I beat the last level. Very good game. Very difficult. Love the easter egg at the end, I only found one haha.